My first stop on my summer of adventures. This is a perfect city for those novice travelers. Everyone is super friendly. Navigation is a breeze, as the city is small enough that you can walk everywhere. And English is the primary language. Although now the city appears to be overrun with tourists, and you will have to visit the touristy parts of town, you can experience traditional Irish culture throughout your visit. Top tourist attraction are the Guinness and Jameson breweries, jail museum, cathedrals, and Irish history museums. If you are visiting the city for any length of time, I highly recommend you pick up a leap card right at the airport and ride the bus into the city–making your navigation around the city a breeze. It was €40 for an unlimited 7 day pass as opposed to our only taxi ride that cost that much just to get us to our house the first day. We arrived after an overnight flight from New York (we being me and my family) running on very little sleep, because no one really took me seriously when I explained how important it is to sleep as much as you can on the plane. Everyone was so cranky. And uncoordinated with everything from wheeling the luggage to taking bathroom breaks to paying attention to what it is that we are actually trying to find. Then the icing on the cake was finding out ED SHEERAN had performances in Dublin and was staying in Dublin when we would have been able to attend his concerts, except they were all sold out. Apparently the Irish really love Ed as all of his performances in Dublin, Cork, Belfast, and Galway were all sold out! Devastating. Not my ideal first day of my holiday…but thank god it all got better. 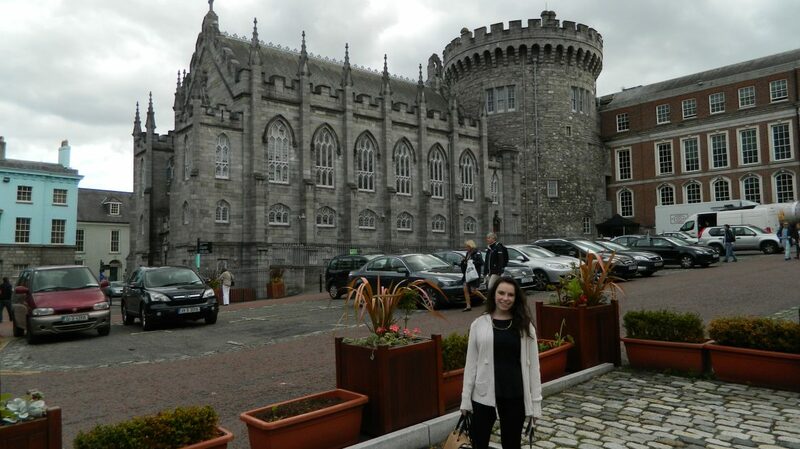 Aside from visiting many of the sights in Dublin including the Oscar Wilde statue, Trinity college, Temple bar nightlife, and many of the cathedral ruins, we were all completely captivated with the (oftentimes depressing) history and especially the remnants of the pagan belief system. Like I probably mention in every post, I am obsessed with this book series called A Court of Thorns and Roses and the Throne of Glass series fantasy books about fae and fairies, that all come from CELTIC MYTHOLOGY. And we are literally in the birthplace of these mythologies and legends so me and my sisters were living in our glory. So any ACOTAR or fantasy fans, this is definitely a city or country you should check out. The other big tour we did was a Game of Thrones/ Giant’s Causeway based tour to the Northern Ireland. Our first stop on this tour was to the Dark Hedges aka the King’s Road where Arya escapes with the night’s watch after losing her father in Season 1. Then we visited a couple of very small coastal villages where all of the scenes from the Iron Isles were filmed and some of Melisandre’s crazier schemes…like the cave she gave birth in. Those moments were the highlight of the trip for me because, like, we stood exactly where they did. Those places are actually real places. No green screens were necessary. Incredible. And I really hope I never forget the smell of the coastal city so I can get the full effect for when I re-watch the show again. But the Giant’s Causeway was just as cool. And as a UNESCO World Heritage Site, it means that it is a site of cultural value for the world, because it is a visual display of how incredible our earth is. The entire cliffside formed millions of hexagons all from a volcanic eruption and has inspired legends and cultures since it’s creation millions of years ago! But my description does it no justice–brush up on your Earth Science knowledge and visit it for yourself! My next stop is Edinburgh, Scotland!! !